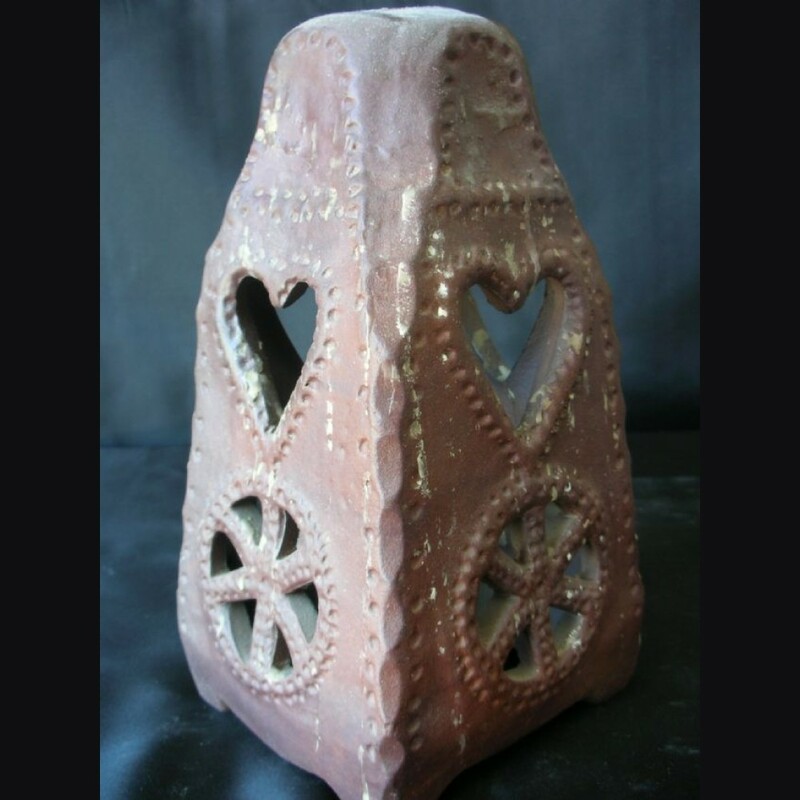 The Julleuchter would be the most produced Allach piece with production figures that surpass all other pieces in their short 9 year existence, given to SS men to celebrate the Solstice these would be found in the home and a yearly candle would be issued. The six dot examples are said to be the earliest manufactured examples and have the six dot pattern on the side and the piece itself has thicker walls and heavier construction. 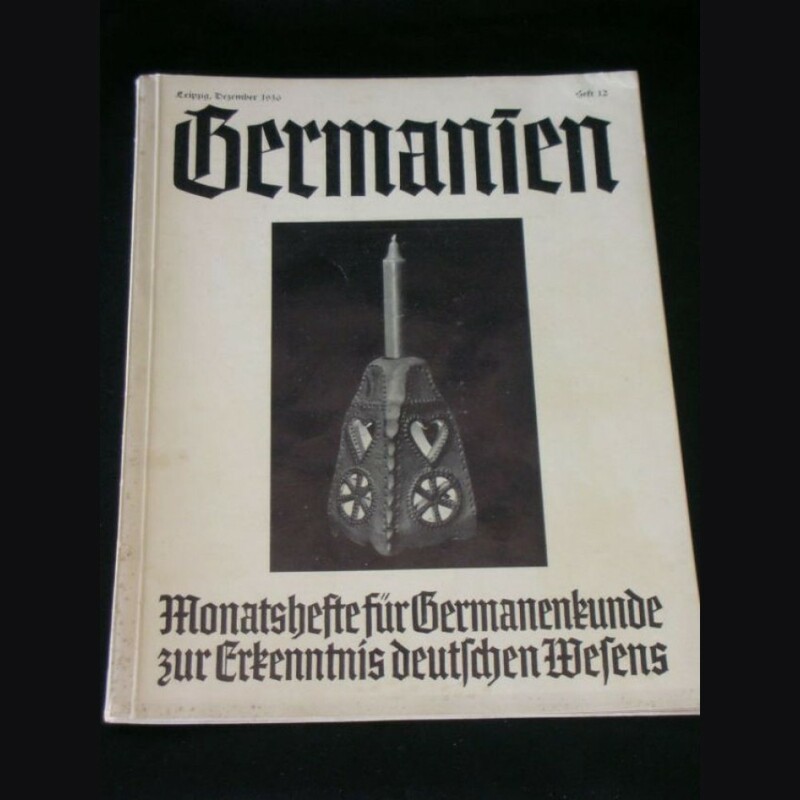 There are several views as to their significance but the fact that they are the earliest is enforced by a period publication dated from December 1936 " Germanien". On the cover is a six dot example with the identical patterns. It has been said that approximate production for these examples was only 10,000. While I cannot confirm that, I can say that these examples are not encountered nearly as much as the later examples. The piece itself is a perfect undamaged specimen and has a very dark red appearance that has been brightened by my photos. It has been used and retains much character and took me many years to acquire this example passing over many others while I searched for the right one. This is not going to be the least expensive example on the market, but you will be hard pressed to find one such as this.